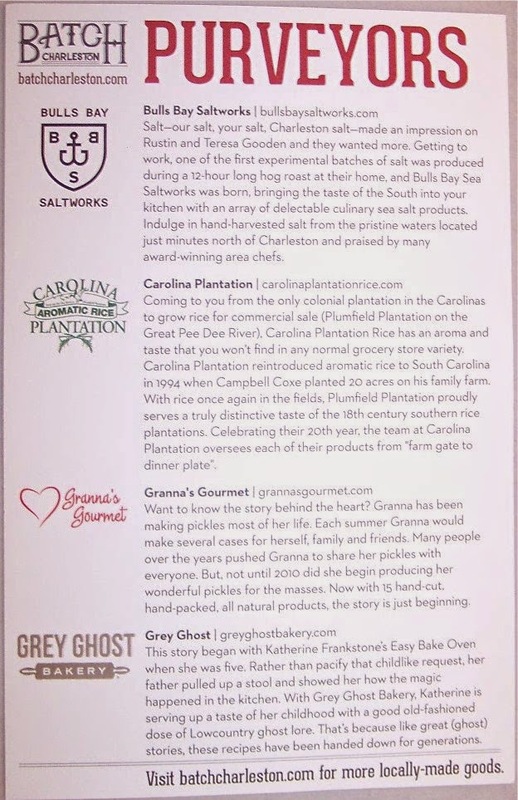 Batch Charleston Gourmet Food Box Review, November 2014 + 10% Discount Code! It has taken me a little while to understand the Batch subscription box concept. It's a bit confusing because their boxes go by different names, according to which city is being featured. At present, you can subscribe to Batch Nashville, Batch Charleston, Batch Memphis or Batch Austin. In addition, they have a Batch Tour, which is a four month subscription that features each of the above cities for one of the months. 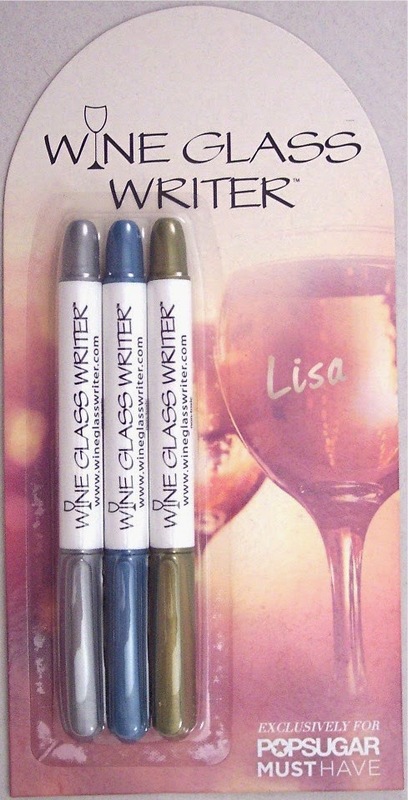 You can also purchase gift batches and many of the items in the batches a la carte through their on-line store. As if that's not enough choice, they have recently opened a brick and mortar store called The Batch Store in Nashville, TN. Got that? The November Batch Charleston box recently arrived on my doorstep. Charleston is a city I've always wanted to visit (preferably in between hurricanes) so these boxes are a good introduction to the area's gastronomic culture. 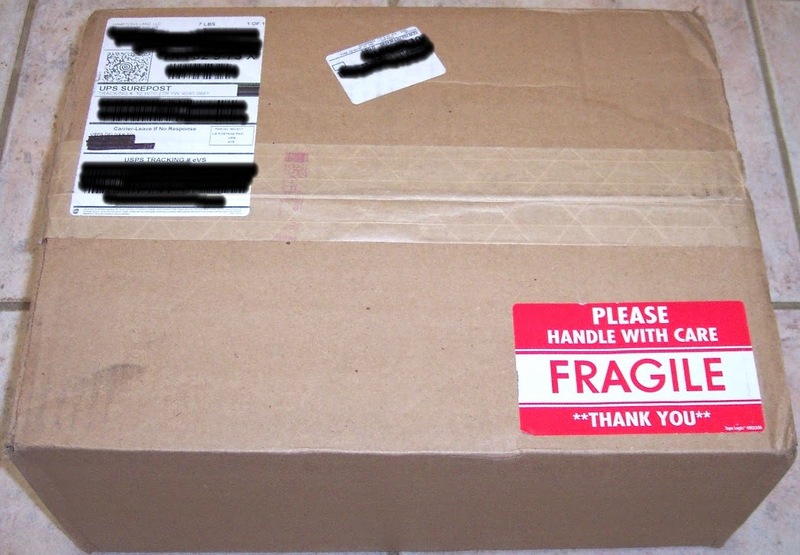 This month's big four pound box contained four full size items...three of which were welcome; one....uh, not so much! Each Batch box contains an information card that tells all about the contributing purveyors. This gives some background information and interesting facts about each of them as well as their website URL's in case you want to buy more. The first item in the box is a 1 lb. 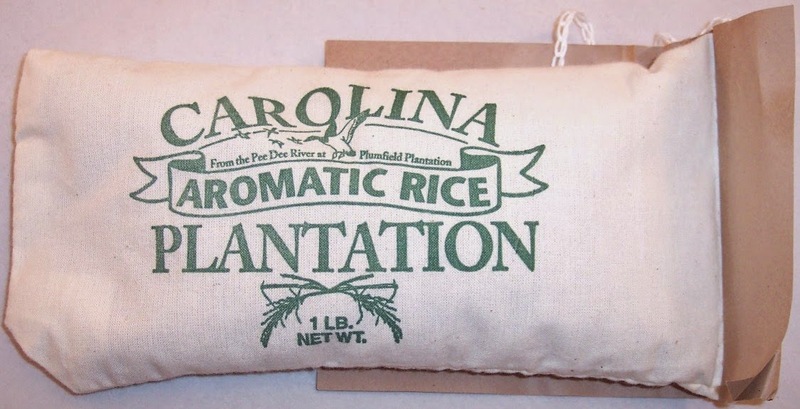 bag of Aromatic Rice from Carolina Plantation, the only colonial plantation in the Carolinas that grows rice for commercial sale. The card says that this rice has a distinctive aroma and flavor that can't be found anywhere else. Except for jasmine rice, I get bored easily with rice so I'm looking forward to trying out this new flavor. Next is a good spice shelf staple...a jar of Charleston Sea Salt from Bulls Bay Saltworks. This is hand harvested from the pristine waters located just north of Charleston. Sea salt is such a popular condiment at the moment; I'm glad to add this to my collection. I have received Grey Ghost Bakery products in sub boxes before and they never fail to impress! 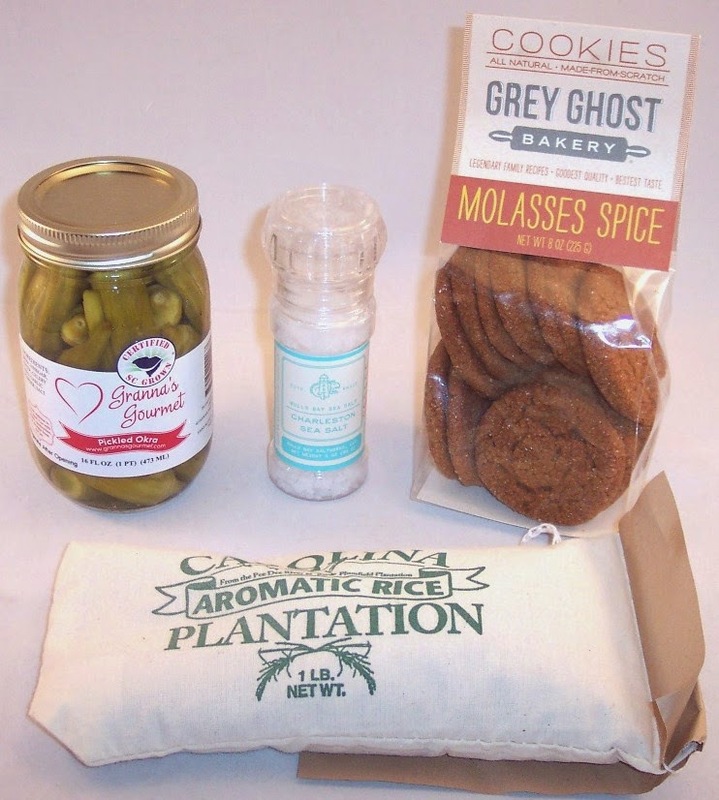 This time, we have a package of Molasses Spice Cookies. These are made from scratch and are soft and chewy with wonderful flavor. One problem I am finding with some of the Batch boxes is that many include one item that does not have broad taste appeal, especially outside the featured geographic region. Since the Batch boxes generally contain full size foods, the inclusion of just one of these can really detract from the value of the box. 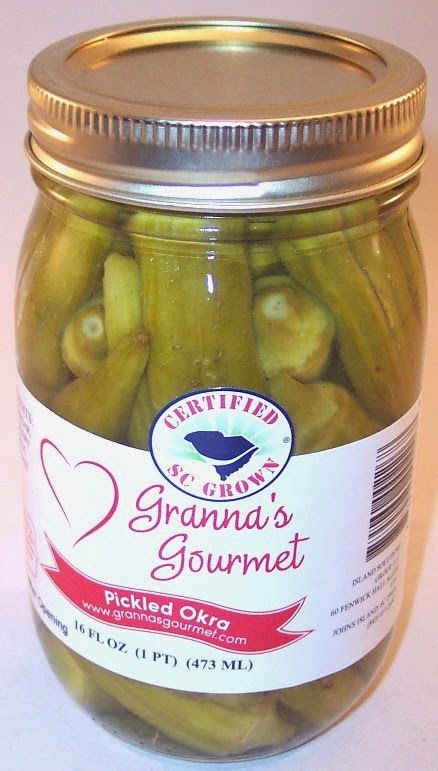 For November, that item for me is a jar of Pickled Okra from Granna's Gourmet. What can I say? Fortunately, I have a neighbor who will take this off my hands. A monthly subscription to Batch Charleston is $29.99. You can save 10% by using code BATCHTASTIC at checkout. (The code SMALLBIZ will also provide a 10% discount, but I'm not sure how long that will last.) In addition, they have a three month gift option for $85 which will get boxes for December, January and February. For the more adventurous, their four month tour begins again in January. From January through April, get boxes from Nashville, Memphis, Charleston and Austin for a total of $109, excluding tax and shipping. Of course, you can also buy individual gift batches in their on-line store with prices ranging from $24 to $58 as well as lots of individual items from previous batches. If any of my readers live in the Nashville area and have had a chance to visit the new Batch Store, please give us a report in the Comments section below. In the meantime, check out their site for lots of terrific holiday gift ideas! Disclosure: Views and opinions expressed in this blog are strictly my own. Product discussed in this post was purchased with my own money. 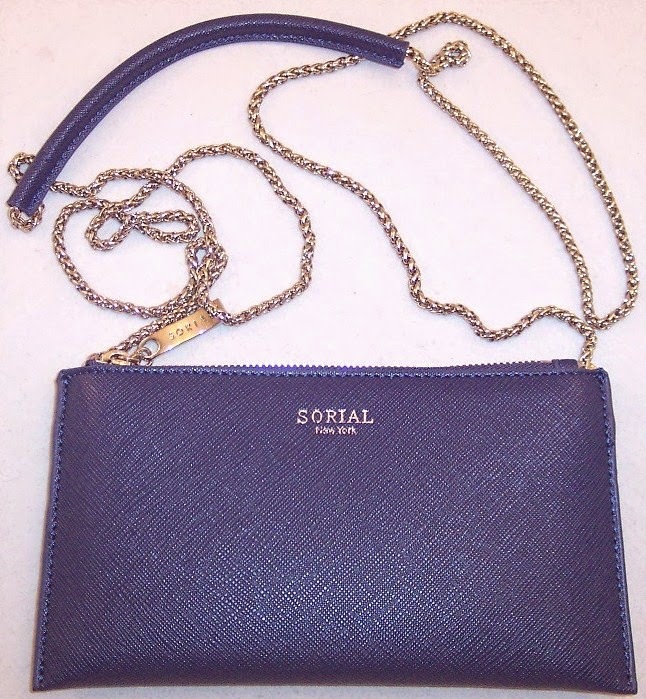 Post may contain referral or affiliate links. Escape Monthly (Hawaii) Review, November 2014 + 20% Discount Codes for Life! With all the cold and blustery weather in the news, NOW seems like a pretty good time to take a little armchair trip to an exotic tropical locale. 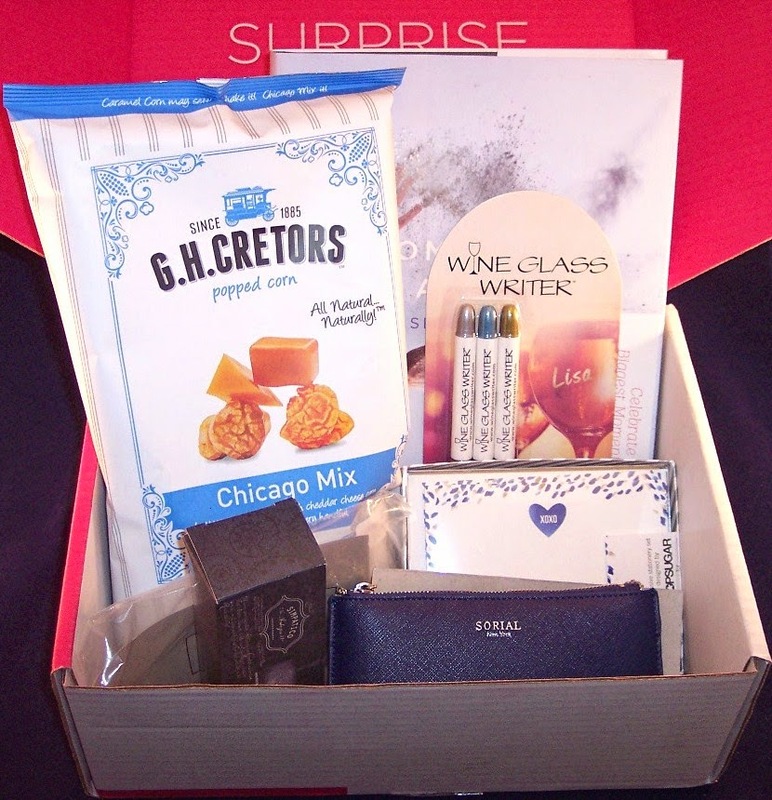 Escape Monthly makes that possible in their November box which whisks us off to Hawaii. Be forewarned...this is one subscription box that could actually end up costing you a LOT more money if you're inspired to follow up with a real vacation! 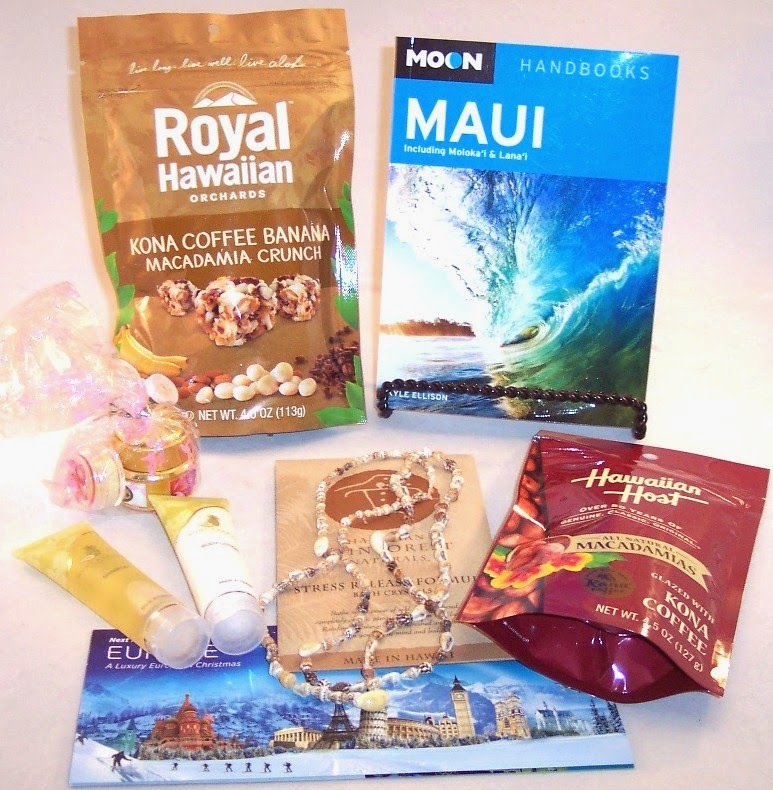 November's box includes a nice mix of the expected plus a few lesser known items from Hawaii. First there is their usual colorful travel brochure which tells about the destination, each item in the box, its retail value and an announcement about next month's destination. Did you know that the only royal palace in the United States is the Iolani Palace in Honolulu? Several Hawaiian monarchs lived in this palace but after the monarchy was overthrown in 1893, the building became a capitol building for Hawaii until 1969 and was opened to the public as a museum in 1978. But I digress....what's in this box???? It's not hard to guess that a main ingredient in any box full of Hawaiian goodies will be macadamia nuts. There is a 4 oz. 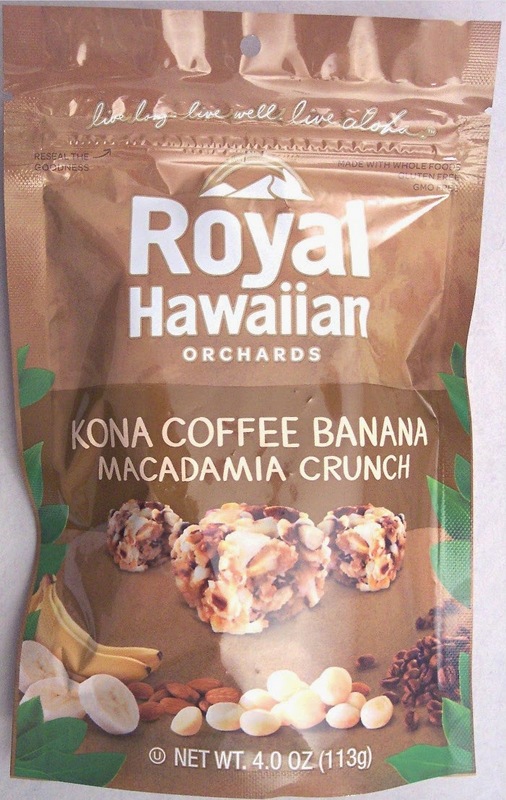 package of Kona Coffee Banana Macadamia Crunch from Royal Hawaiian Orchards. These are clusters of roasted macadamias, almonds, Kona coffee beans and banana. Seems like a strange combination but these are very crunchy and tasty. I love the bare hint of coffee flavor! I was surprised that there was a second similar product in the box....a 4.5 oz. 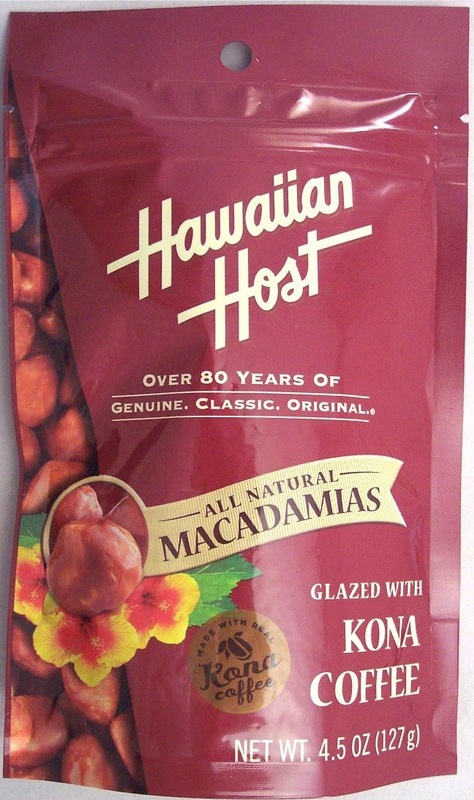 bag of Macadamias glazed with Kona coffee from Hawaiian Host. Fine with me....I love these things! 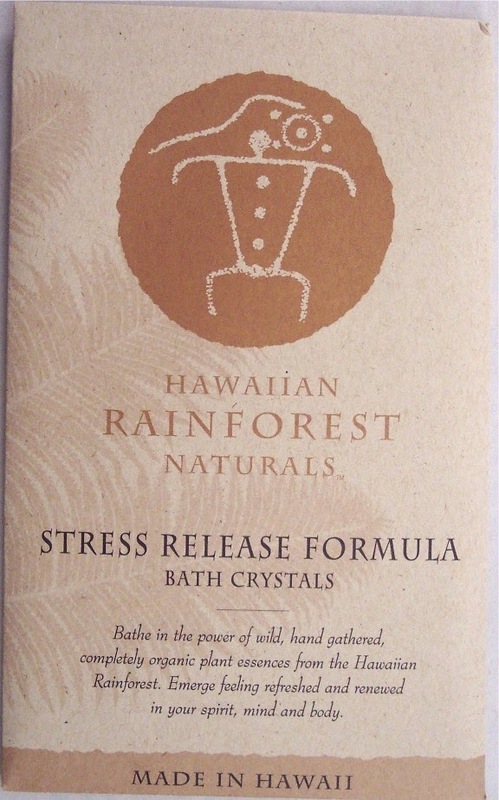 Next is a package of Stress Relief Formula Bath Crystals from Hawaiian Rainforest Naturals. This is a blend of natural Hawaiian salt crystals infused with Wild Lehua, Wild Kinehe and Wild Yellow Ginger....that's a lot of wildness for one bath. The bonus item in this month's box is a seashell lei, hand collected from Hawaii's shorelines and made from nassa shells and cowries. These are said to bring good luck. 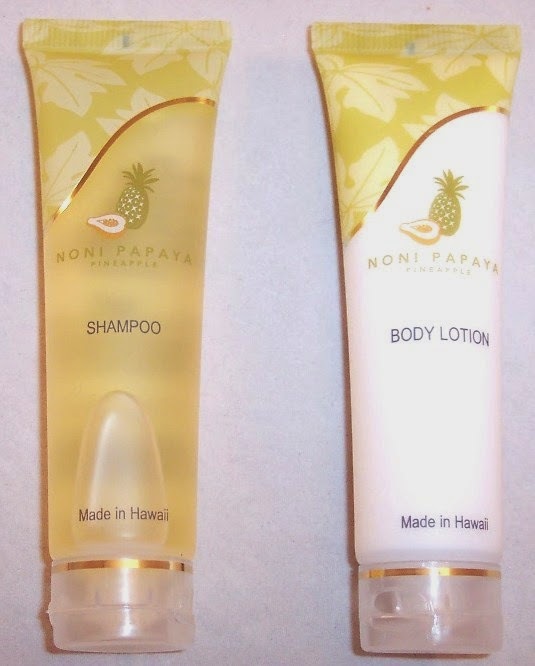 There are a pair of luxury bath and body samples from Noni Papaya Pineapple, a shampoo and a body lotion. The brochure mentions a body wash from this company but they must have run out of those because I received the shampoo instead. These both have a nice tropical scent. 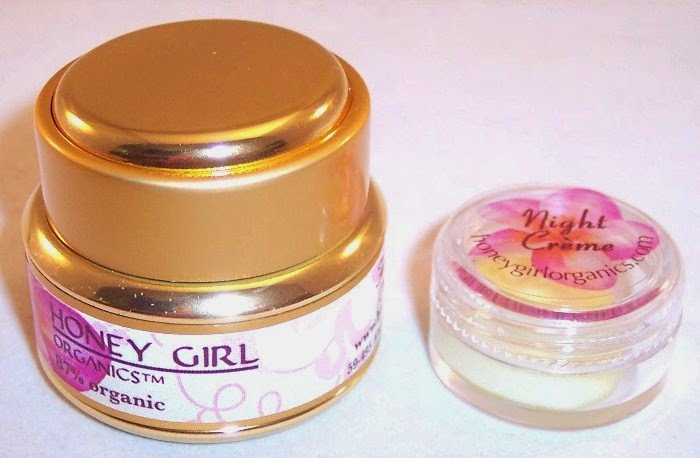 A small packaged gift bundle from Honey Girl Organics contains a face & eye cream and a night cream. These are made with Hawaiian Pupukea honey and extra virgin olive oil and have protective and restorative qualities. I'm interested in giving these a try. 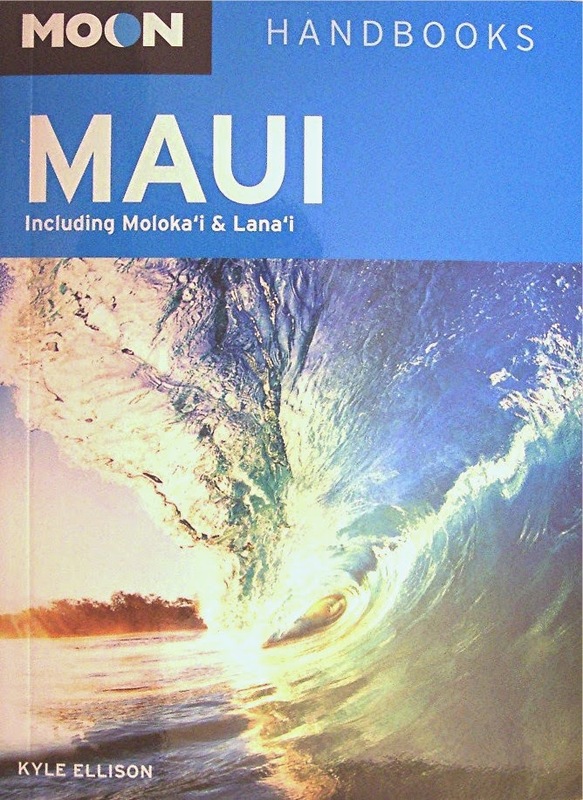 As always, there is a nice travel guide included; this time a Moon handbook for Maui. These are full of maps and plenty of information on where to stay, where to eat and what to see while you're in Maui (as well as Moloka'i and Lana'i). After flipping through this beautiful book, it's really hard not to head straight over to Orbitz! So, that's Escape Monthly's box for November. Their information brochure usually tells where we'll be headed next month but this time it just says we're going to get a "Luxury European Christmas". That's a bit different and less specific than usual so I'm curious to see what they send. The full price of an Escape Monthly box is $49.95; however, there are almost always 20% discount codes around that effectively make the box $39.95 per month for the life of your subscription. Use any of the codes MYESCAPE, YULETIDE or YOURESCAPE for $10 off the cost of each month. Also, keep an eye out for even better prices on deal sites like RueLaLa, Groupon and Living Social. I recently found a three month subscription for $97 on RueLaLa, which brings the price down to $32.33 per month. I don't think that particular deal is still available but it pays to do your due diligence. Although the November box was not one of the better value boxes from Escape Monthly, I think they did a fairly good job of bringing the flavor and essence of Hawaii into our living rooms. You have to wonder how many subscribers will actually be inspired to book a trip? P.S. 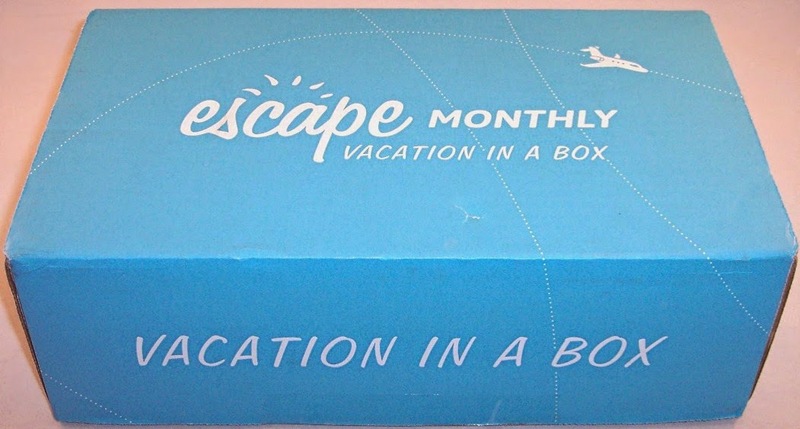 If you want to try a less expensive version of Escape Monthly, they also have a Mini Escape box which contains 4 or 5 luxury locally-made products and a travel brochure (no book). It is half the size of the regular box and costs $24.95 per month. Disclosure: Views and opinions expressed in this blog are strictly my own. Product discussed in this post was purchased with my own money. Post does not contain referral or affiliate links. 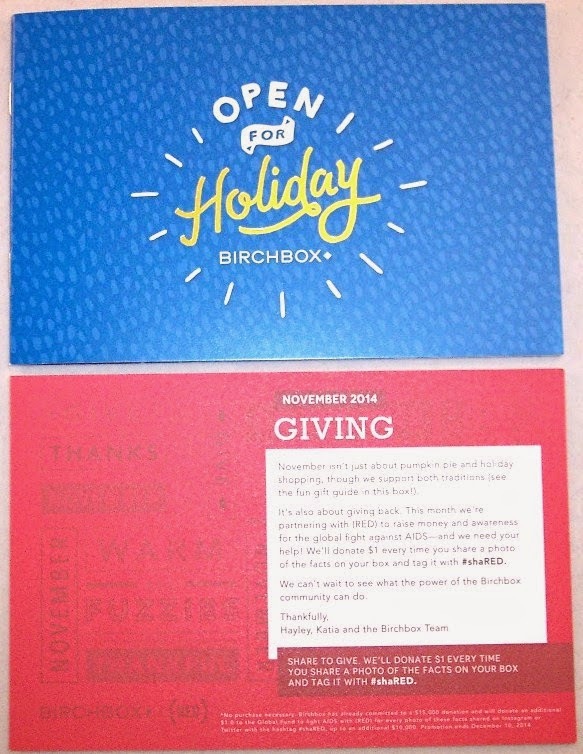 BirchBox November 2014 Review + Promo Codes!! I can't explain why but BirchBox is growing on me. It may because of the higher end nature of the samples they send versus the more drugstore brands in other boxes. It may also be due to their terrific points program which keeps me engaged and interested in actually buying full size products from their site. Or it could just be the little piece of chocolate that came in November's box! BirchBox often takes on social causes and for November their box contained a lot of facts about AIDS prevention printed on the outside with an incentive code to get customers to share photos via social media. 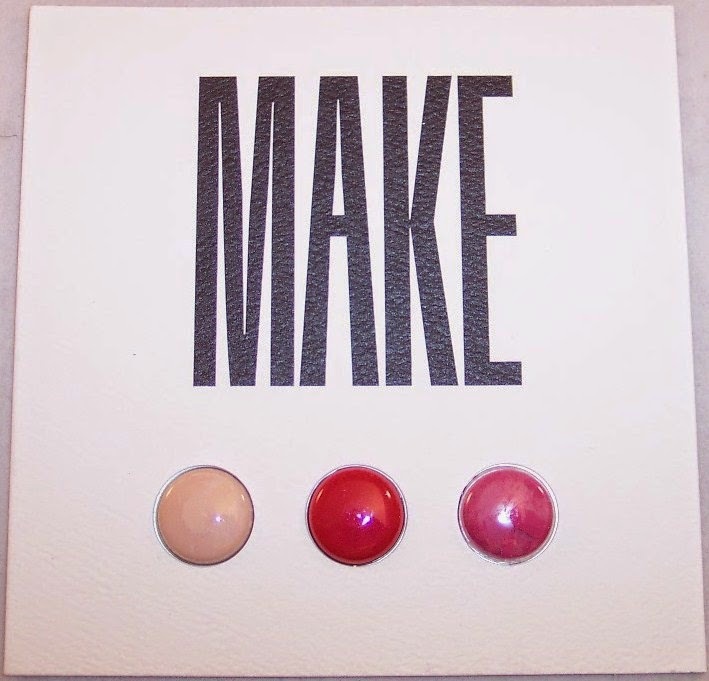 Every photo tagged with #shaRED gets $1 donated from BirchBox to the global fight against AIDS. There are five samples in this month's box which include one full size product, two luxury samples and three really small samples. The two cards included are a nice color brochure advertising some of the holiday gift items on their site and the explanatory card that gives information on the enclosed samples. 20BACK - Through 11-25-14, get $20 off entire order when you sign up for a subscription plus free shipping if you spend $25. CRBLIP - Get a Cynthia Rowley lip gloss mini with a monthly subscription or a full size with an annual subscription. If the above codes don't work at the time you read this, there likely will be newer ones if you search around a bit. Keep in mind that you can get one month free with an annual subscription, which is $110. 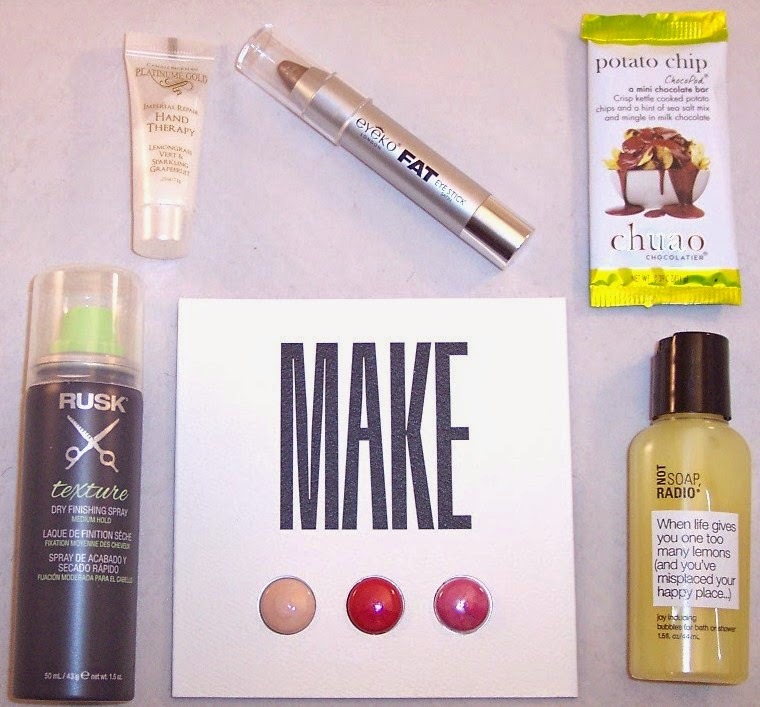 Click here to get the December BirchBox and start sampling some luxury cosmetics! P. S. It bears repeating that BirchBox has the best points system around. Every 100 points gets you $10 off in their shop and those points add up fast. (It is well worth the few minutes it takes to review each product in your monthly box since that little exercise alone will net you 50 points every month.) I haven't paid much attention to my points total lately so was shocked when I just checked and found out I had 400 points (or $40) to spend on their site! 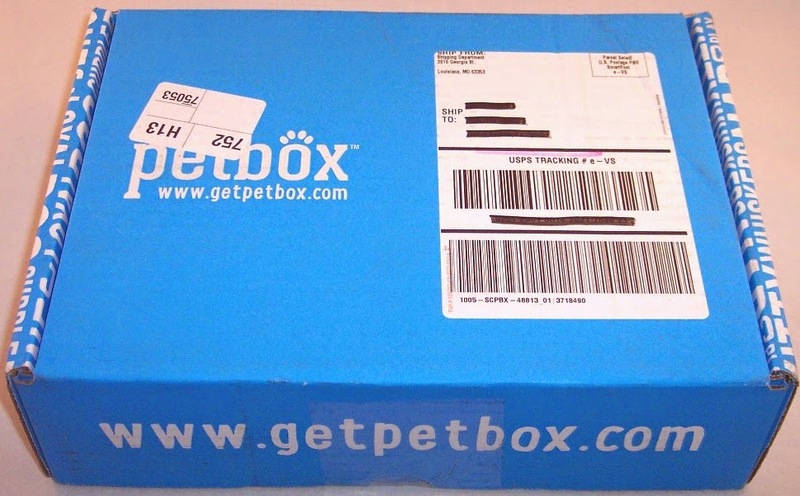 PetBox (Dog) November 2014 Review + Groupon Deal & Discount Code! One word comes to mind when describing the contents of the PetBox I just received..."thin". There are only two items in the box. Granted, they are two items that I chose myself but I was still underwhelmed after having received so many generously loaded subscription boxes lately. But let's look at the whole picture. Once you have chosen a plan, you have the option of choosing the items yourself or have them surprise you. I really like this feature because I have received quite a few toys in other pet boxes that were not appropriate for my pup Tucker. Being able to customize my own box meant I could choose things that I know Tucker would enjoy. If you do choose to pick your own items, you are given a certain number of points to "spend". Then you're presented with an array of products that each have a point value assigned. If you spend more than your allocated number of points, you're charged for the difference. 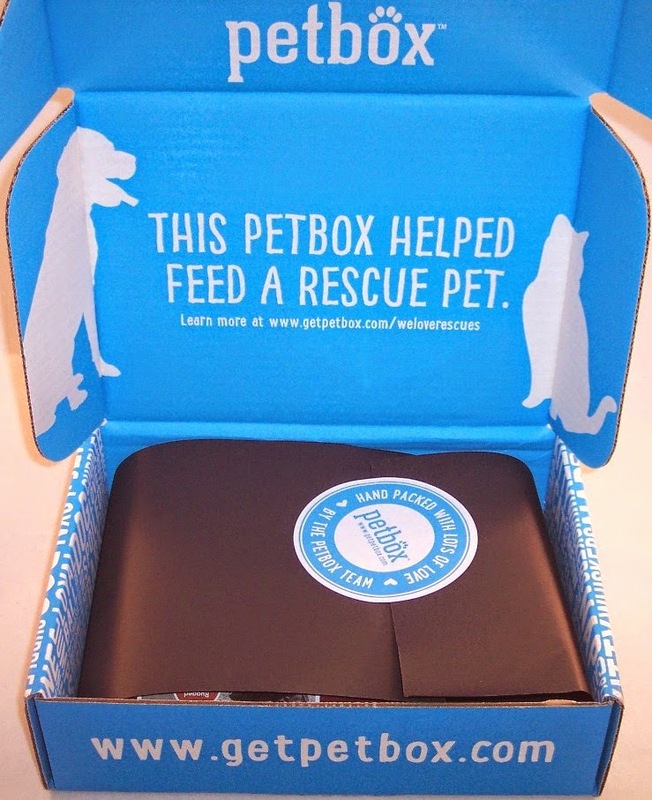 PetBox arrives in a pretty blue box. The contents are wrapped in black paper with a "hand packed" PetBox seal. 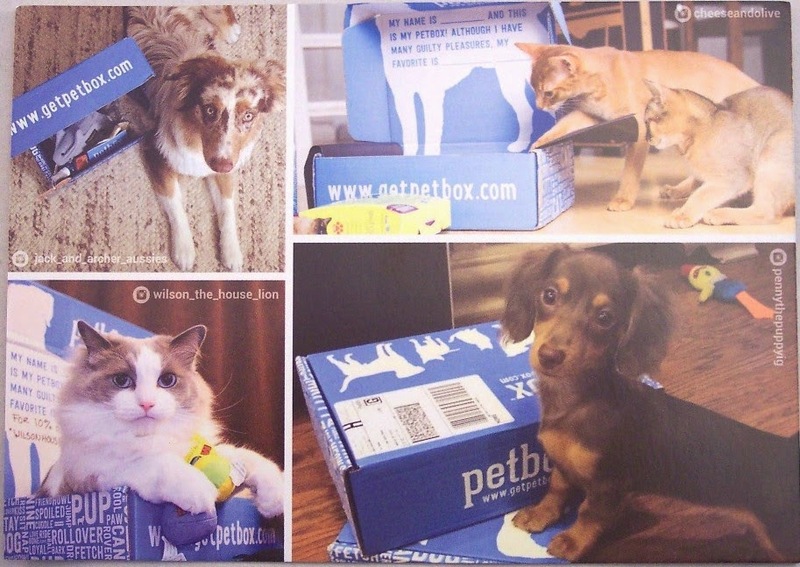 There is a "thank you" card showing various dogs and cats enjoying their PetBoxes. 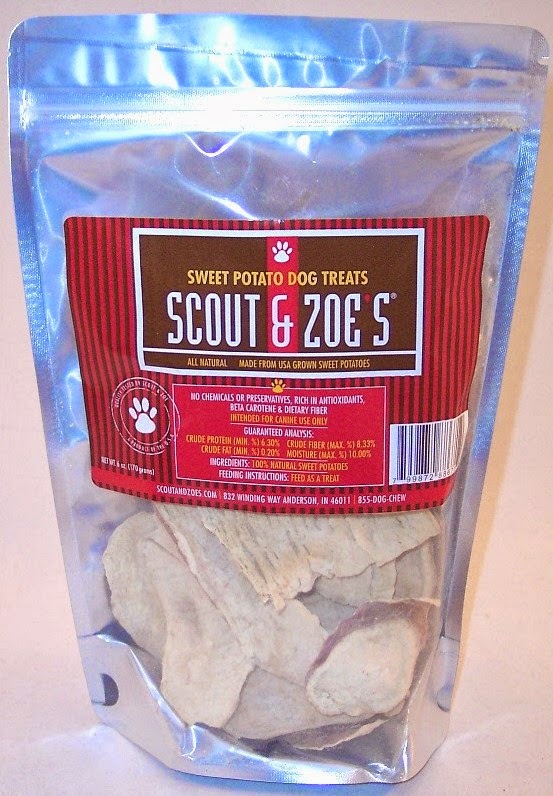 Since Tucker likes almost all dog (and cat) treats, I chose this package of Sweet Potato Dog Treats from Scout & Zoe's. These are all natural and the ingredient label shows only sweet potatoes. There is a distinct sweet potato smell when you open the bag. Since this is a 100% vegetable treat, I wasn't sure how enthusiastically Tucker would receive them. His passion in life is chewing though and these have the consistency of rawhide treats so he was fine with them. Good choice! 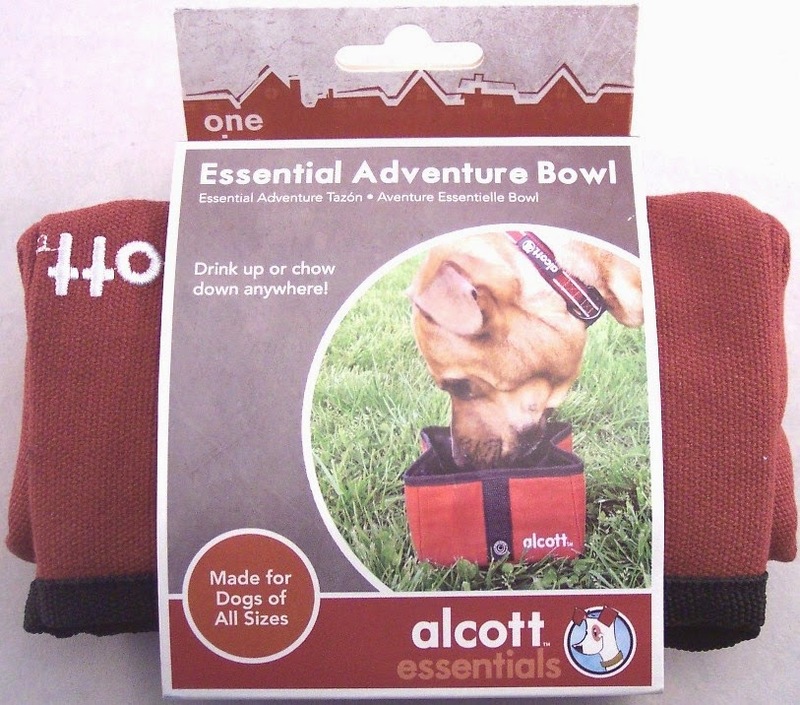 The second item I chose is a collapsible food and water dish for travel since we don't have one. 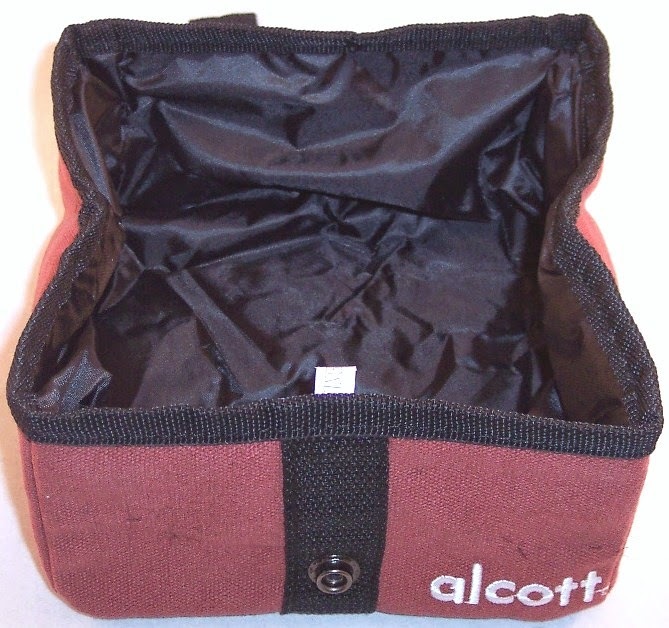 This one has "Alcott" embroidered on the side and is very well made. It's about 6" square when opened and folds up neatly into a 3.25"x5-3/4" rectangle. This will certainly do the job but I find it odd that the "bowl" is lined with fabric, something like acetate or nylon. That seems like a weird surface for dog food or water to me. I don't know what I expected to see....maybe plastic or vinyl? Anyway, this is a quality item and something we needed. In going back over the cost of this box, I see that I paid only $11 for it, so my initial reaction may have been premature. I would not have been happy if I'd paid the full $19.95 and only received these two items. At just $11.00, I definitely got my money's worth, especially when you consider the shipping cost. I don't care what any vendor tells you....shipping is NEVER free! Since I was able to choose the items in the box, we didn't end up with anything Tucker can't use. That feature really sets this box apart from other pet subscriptions that I've tried. In fact, I'm seriously considering getting the six month Groupon right now. I don't know when this deal ends but the "limited time remaining" symbol is showing on the PetBox deal page so it's probably best to grab it soon if you're interested. If you miss the Groupon deal, try code SPLURGE20 to get a Snack size box for free, just pay shipping of $4.99. The same code will get $3.99 off a Deluxe size box for a total of $15.96 or $7.99 off a Premium box, making it $31.96. 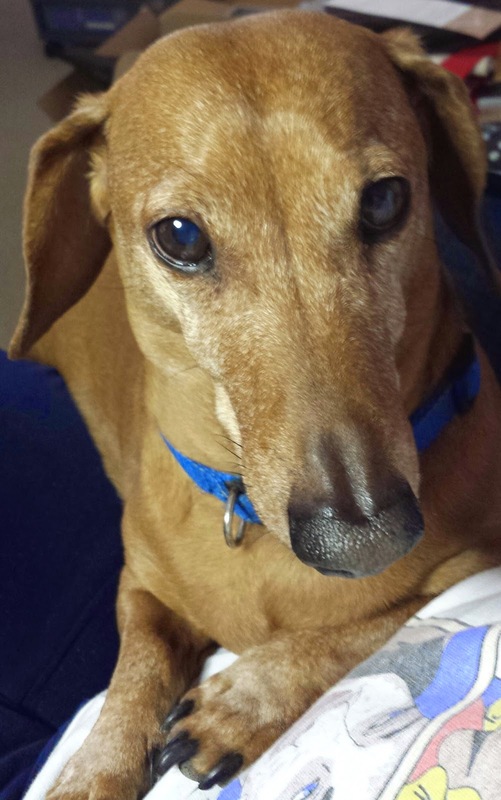 Tucker has informed me that he is ready for another sweet potato treat. The quality of the treats he's been enjoying the last few months has really increased due to pet subscriptions. Looks like PetBoxes may be coming here for quite a while to come! 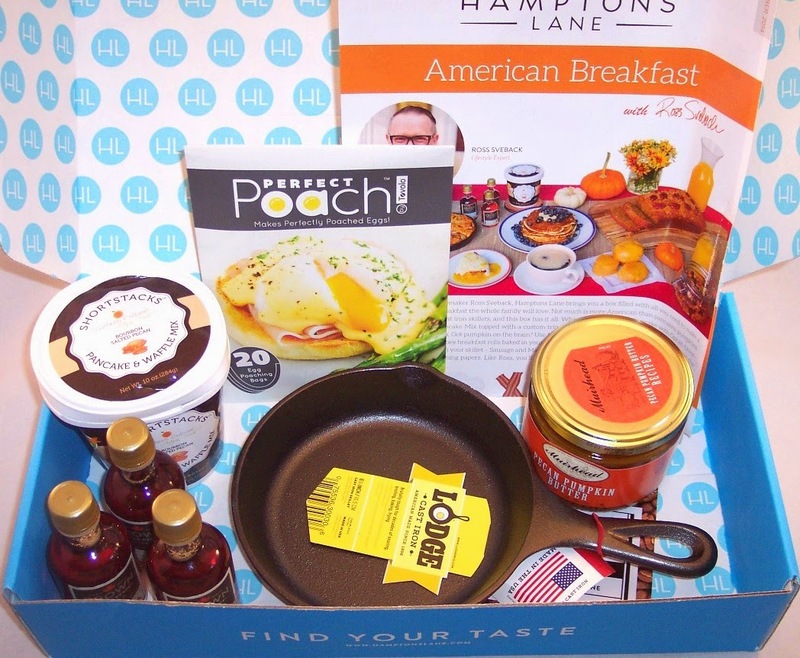 Hamptons Lane "American Breakfast" Culinary Box Review, November 2014 + $10 Discount! The heaviest subscription box I've ever received arrived this week. At almost seven pounds, Hamptons Lane sent one hefty box. As any subscription box addict knows, size DOES matter! It matters even more when culinary delights are involved. Hamptons Lane sends themed boxes full of gourmet ingredients, kitchen tools, serveware and local artisan foods. 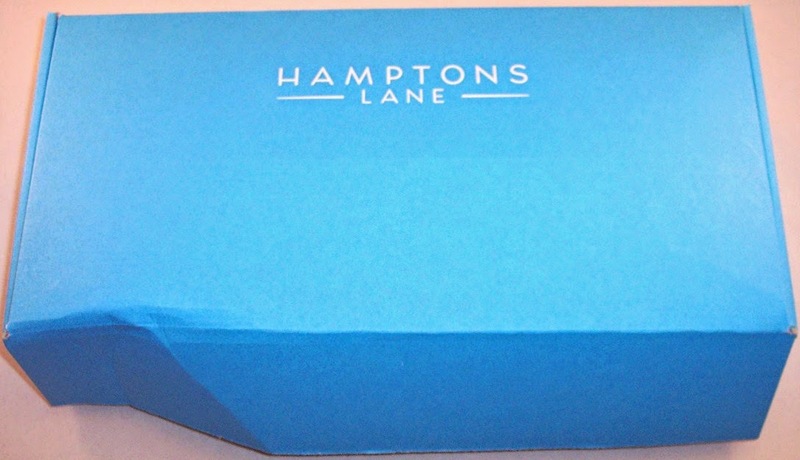 The cost of a Hamptons Lane monthly box for members is $47.00. Non-members can purchase the boxes for $59.00. This service has two really nice features that differentiate it from most other subscription boxes. First, you can see exactly what will come in the current month's box. Second, you have until the fifth of the month to opt out if you don't want that box. I believe there is some flexibility in skipping a month if you miss that deadline. 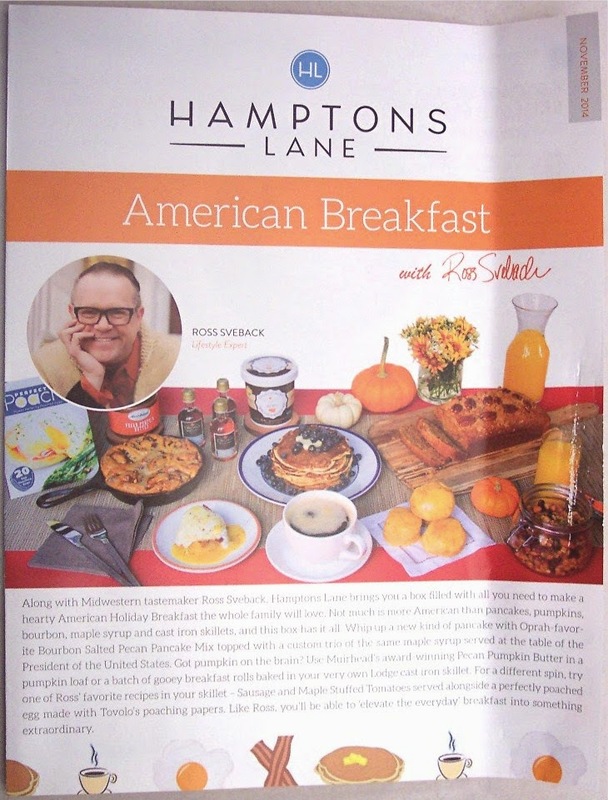 The theme of the box I received for November is "American Breakfast". After reviewing the contents on the site, I was pretty sure this was a collection I'd like. I placed my order on November 1st and this big box arrived on the 17th. Inside, a blue Hamptons Lane box was buried in a huge pile of packing peanuts. Although it was very well packed, it was somewhat disheveled from its long trip from Cambridge, MD via UPS and then handed off to the USPS for delivery. A tantalizing array of gourmet breakfast products greeted me. The packaging of one item was badly damaged but everything else seemed to be o.k. A full size color brochure introduces the theme of the box and the expert behind it; in this case, Ross Svebeck, "Midwestern tastemaker". 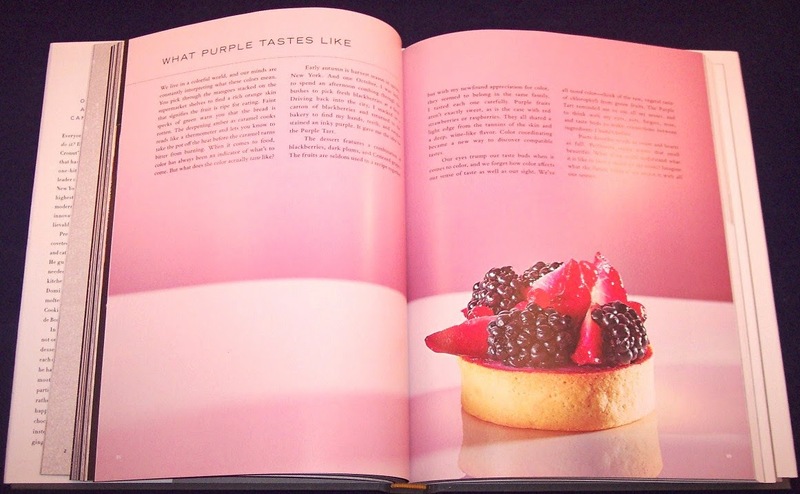 This brochure gives a lot of helpful advice on how to use the products and two mouth-watering recipes on the back. 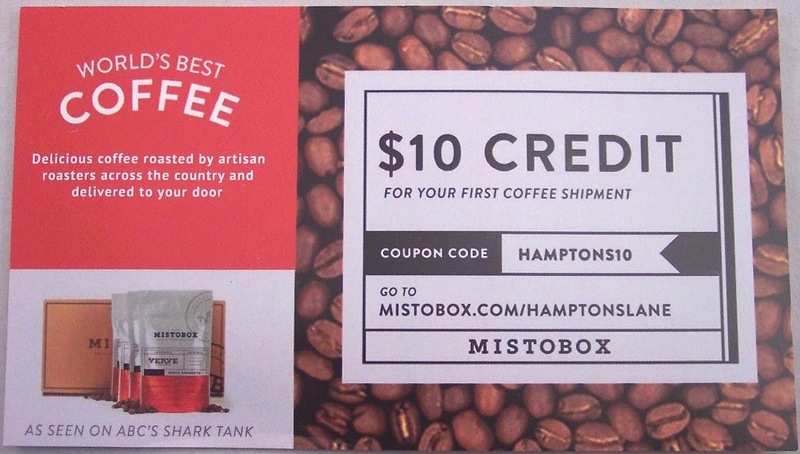 There is a card containing a coupon code for $10 off your first coffee shipment from Mistobox which sends artisan roasted coffees. If you're interested, the code is HAMPTONS10 and you can click here to use it. By the way, Mistobox was featured on Shark Tank a while back; I just barely remember seeing that segment. 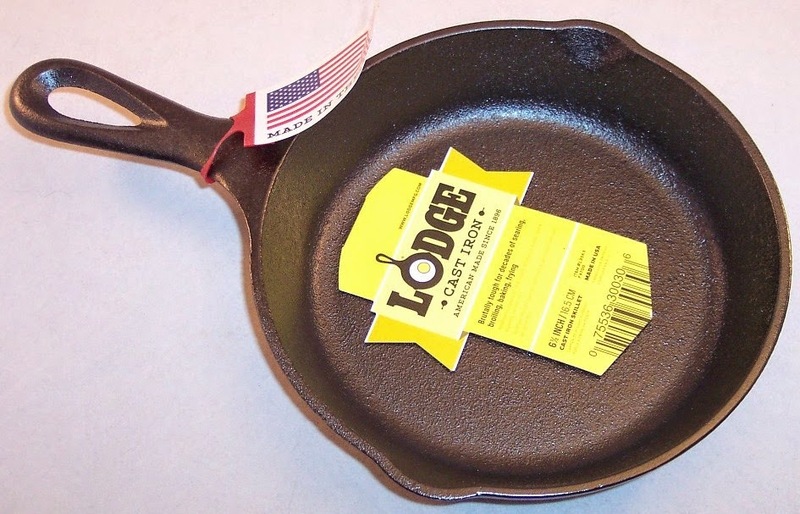 The main reason for the weight of this box is this wonderful little cast iron skillet by Lodge. This little 6.5" workhorse is the perfect size for sauteing, searing, frying, baking and roasting. The most used item in my kitchen is my grandmother's 9" cast iron skillet. This little guy is sort of a "Mini Me" to that one and will do all the small jobs that require less capacity and less clean-up. This ranks right up there among the best items I've ever received in a sub box! 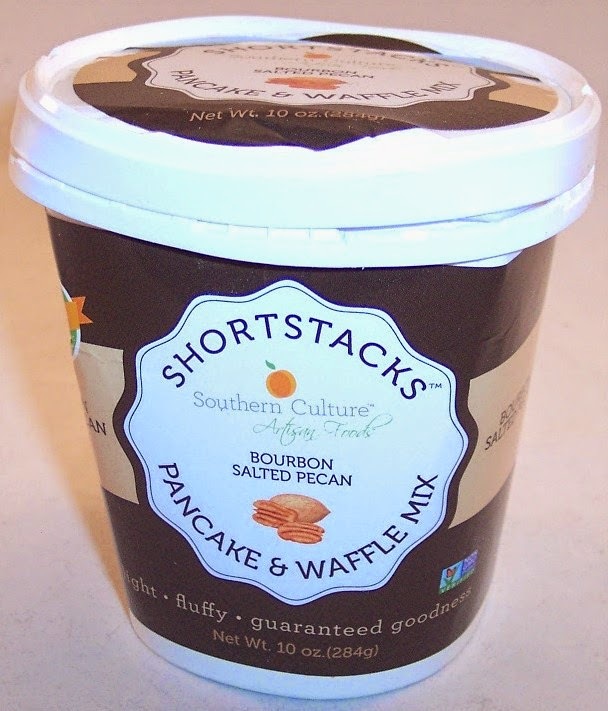 The casualty in the box is this container of Bourbon Salted Pecan Pancake & Waffle Mix from Shortstacks. Apparently the skillet slammed against it during shipment and caved in one side. However, the container is still intact so the mix should be fine. Thank heaven none of the other items were affected as most of them are much more fragile! 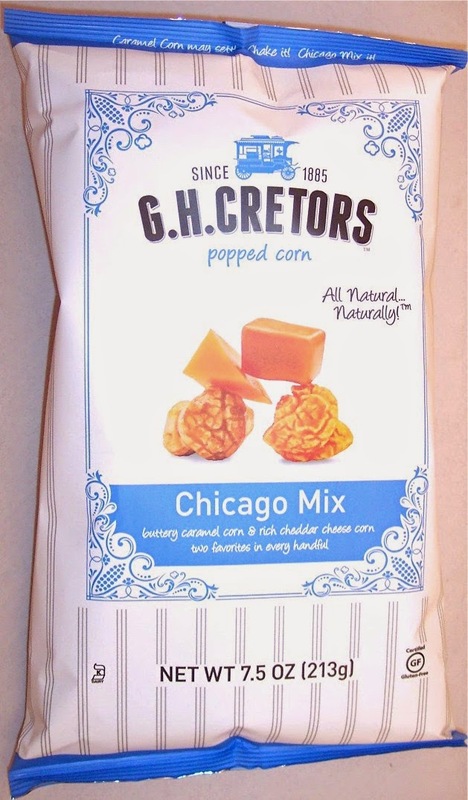 I can't wait to try this mix which contains chunky Georgia Pecans....the pictures in the brochure make me want to go whip these up right now! Of course, the complementary item for pancakes is syrup. 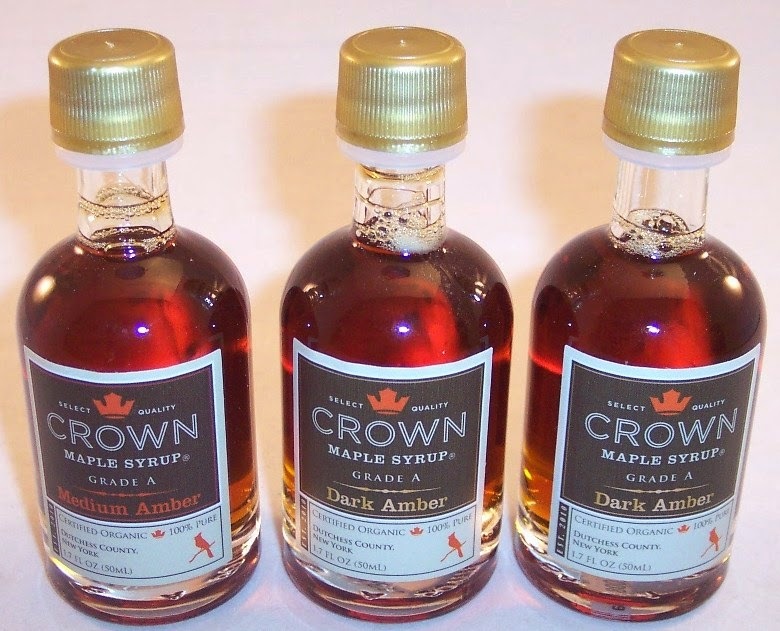 At first glance, I thought I was getting three little airline size bottles of whiskey, but these are actually Crown Maple Syrup. This trio contains two Dark Amber syrups and one Medium Amber. These come from Dutchess County, NY and are certified organic and 100% pure. 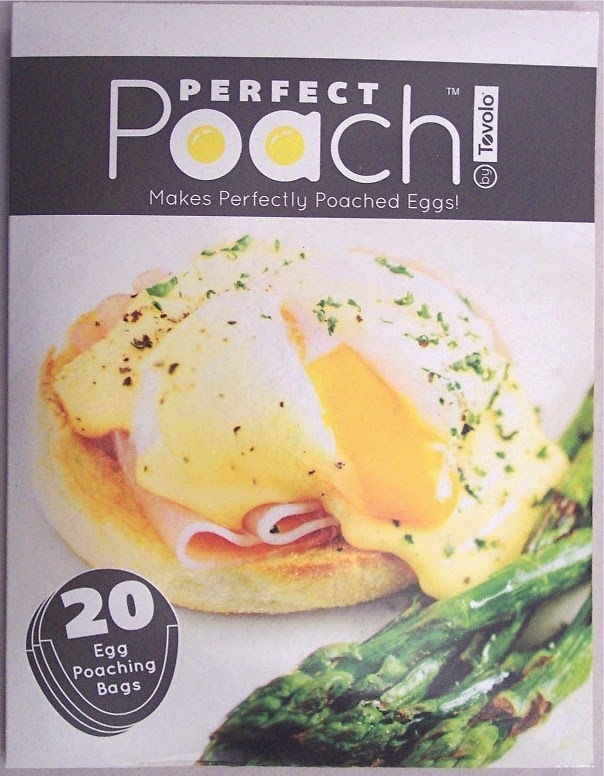 Next is a package that contains 20 egg poaching bags that are said to produce a perfectly poached egg. Crack an egg into the pouch, immerse in simmering water, then remove after 4 to 6 minutes and slide the egg onto a plate. Perfect mess-free results! The last item in this box is a 13 oz. 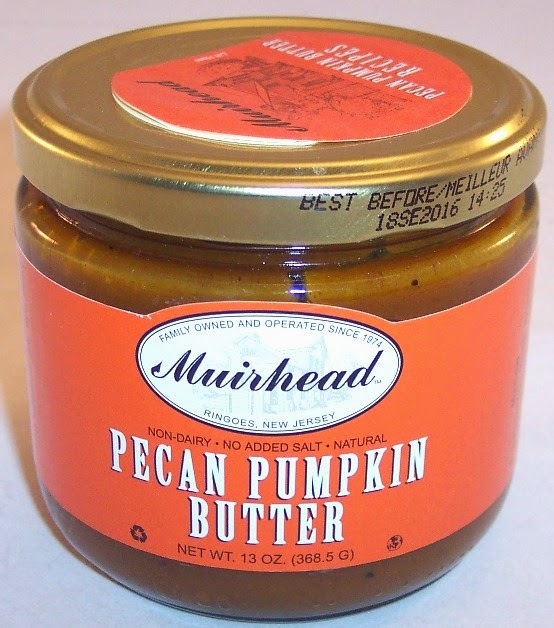 jar of Pecan Pumpkin Butter by Muirhead. This can be used as a spread or mixed into pumpkin loaves, pancakes, biscuits, pumpkin pie, bundt cake, mashed sweet potatoes and muffins. 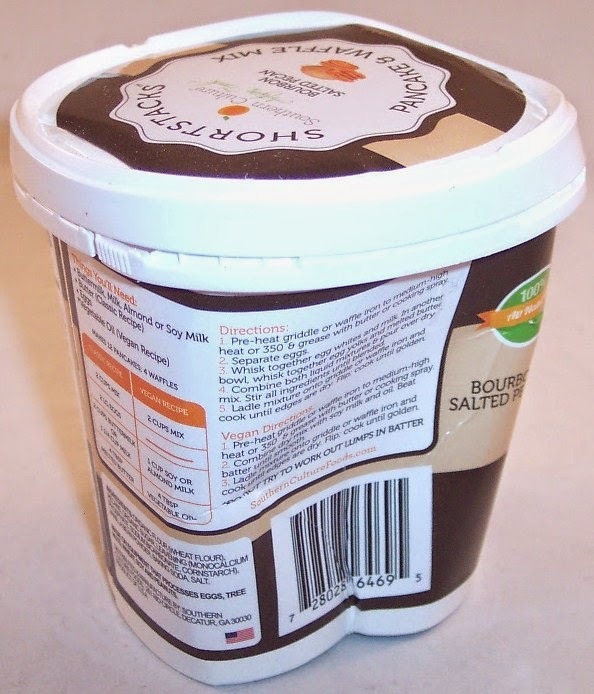 Fortunately, there are six recipes attached to the lid that help make the best use of this delicious looking product! As you can see, this is an exquisitely curated box. 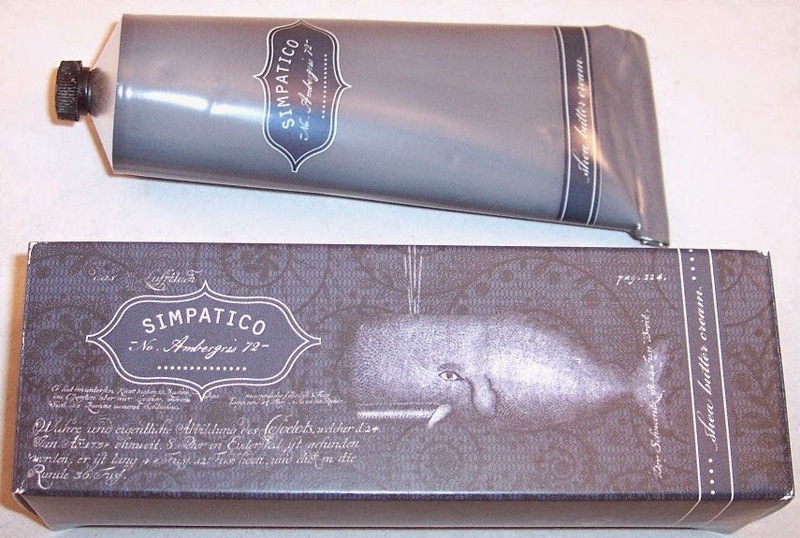 Other recent box themes that are still available for individual purchase on their site are: Summer Cocktail Party, Ice Cream Sundae Bar, The Tailgate Box and Spanish Tapas. Many individual items from past boxes are also available a la carte. If you're interested in signing up for Hamptons Lane, use this link to get $10 off your order. As mentioned above, you can skip a month whenever you want. Keep in mind that if you find other discounts on the Internet, you may be able to stack them for even more savings. This is the first subscription service I've found where that is possible. I stacked two $10 discounts for my first box, making it only $27. (Unfortunately, I can't remember where I got one of those or I would certainly share it.) The retail value of these boxes is always at least $75 and some are worth more than $100....that kind of "margin" is very unusual in artisan food boxes! In my opinion, these boxes would make wonderful holiday gifts, especially for those who are hard to buy for. 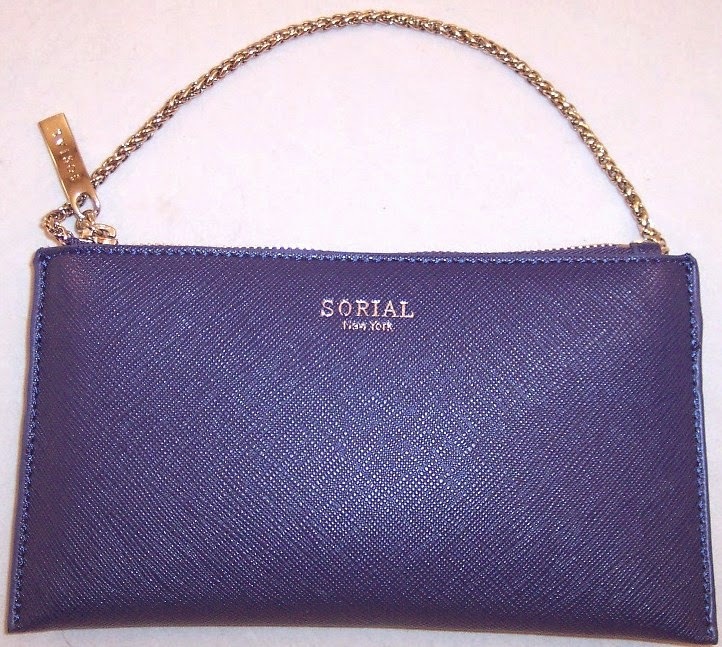 Of course, don't forget to gift yourself! 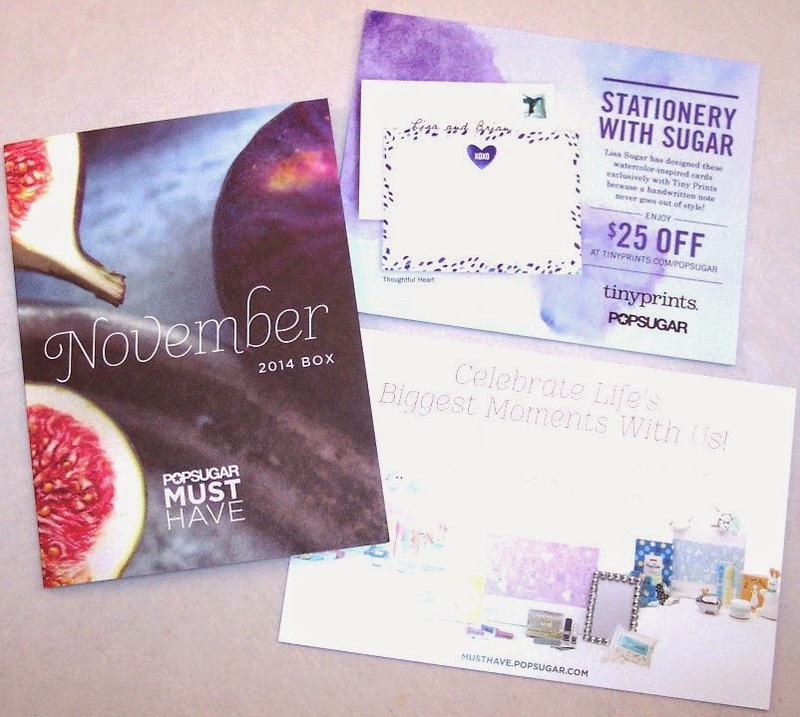 PopSugar Must Have Lifestyle Box Review, November 2014 + $5 & $10 Discount Codes! Someone asked me recently which subscription box I'd keep if I could only have one. Well, if I lived on a desert island where only one box could be delivered each month, it would have to be PopSugar Must Have's lifestyle box! I have subscribed to this one for about a year now and they consistently send fresh, interesting, fun, useful and beautiful full size items. This box is ALL about the curation and PopSugar repeatedly demonstrates an uncanny knowledge of their customer base. There is a foldout card with color photos of each item in the box and a brief description. This card tells us that the inspiration for this month's box was "Gratitude, Gourmet Treats, Indulging, Hosting, Giving and Gathering". Another card provides a $25 discount code for use on one of the vendor sites and a third card advertises PopSugar's newest theme boxes..."Baby Girl", "Bridesmaids" and "Baby Boy". 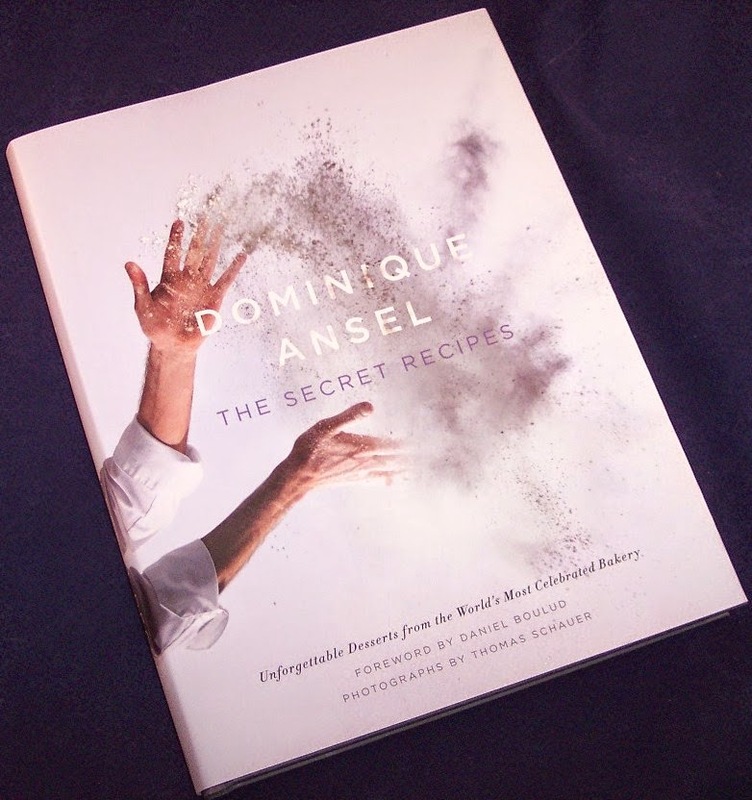 The big prize in this box is an absolutely gorgeous coffee table quality dessert cookbook called "The Secret Recipes" by Dominique Ansel. I love cookbooks but don't remember ever receiving one in a sub box before. 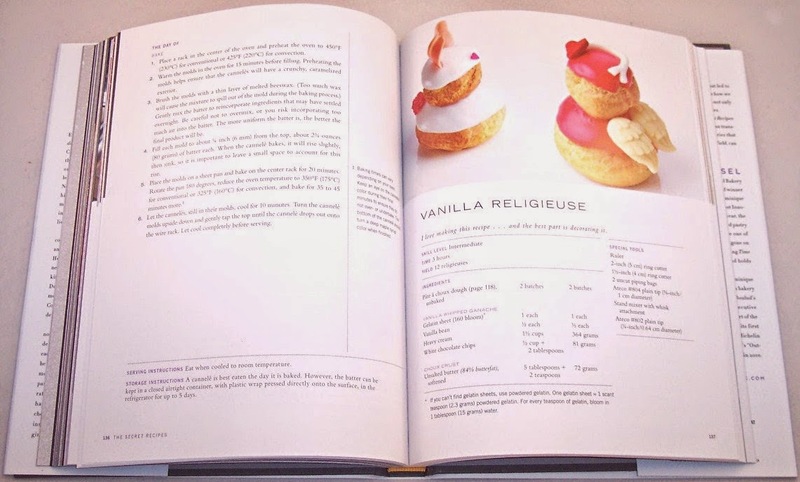 The author of this book is the pastry chef who invented the Cronut....and yes, the recipe is in here! 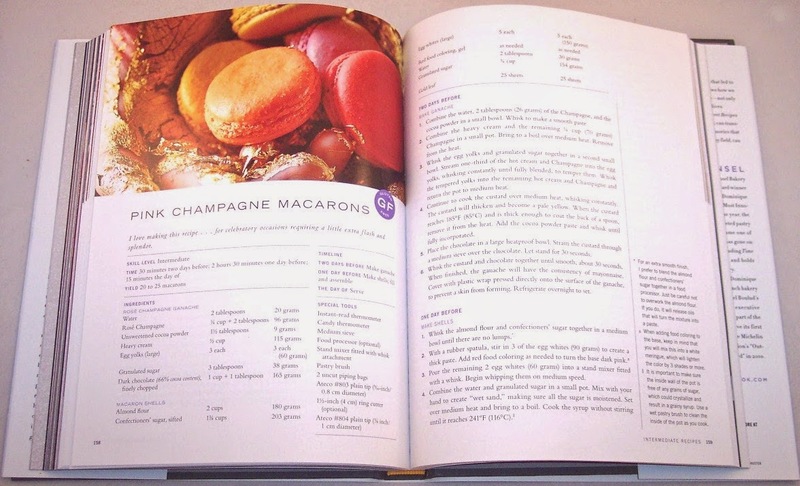 The recipes are organized by skill level so there is a section for Beginners, one for Intermediates and one for Advanced. 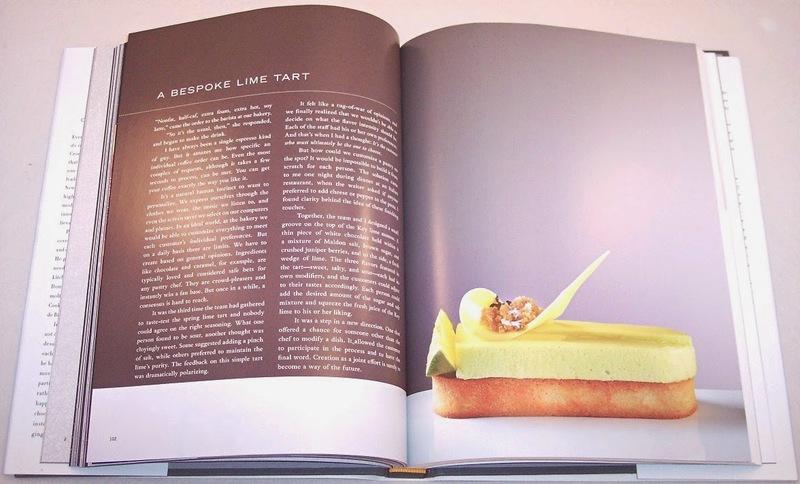 This book is beautifully illustrated with mouth-watering photos. The last item is a pretty watercolor stationery set designed exclusively for PopSugar by Lisa Sugar (PopSugar's co-founder and Editor in Chief) and Tinyprints. 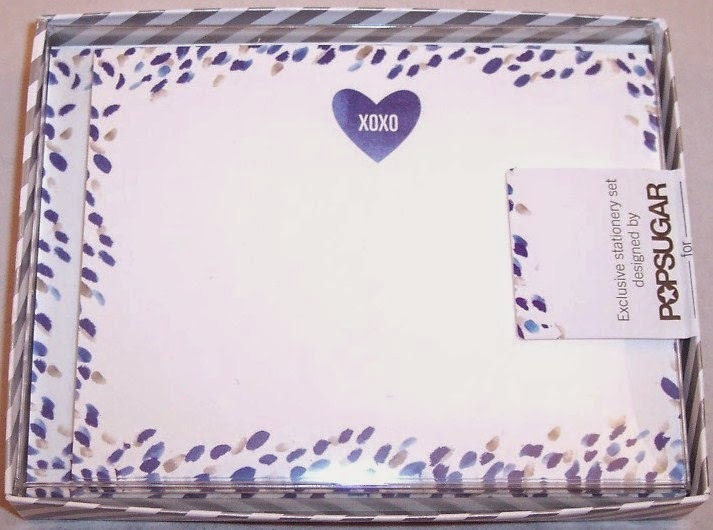 This set includes 15 all occasion heavy stock cards and matching envelopes. I love the "return to civility" aspect of the stationery products that have been showing up in some of the sub boxes; I hope that is a trend that continues. Retail $15 In addition, there is a card with a $25 discount code that can be used for other stationery products on the Tinyprints website. For once, that's a discount that doesn't require a minimum purchase, so I will actually use it! All plans have free shipping, auto renew and you can cancel at any time. I'm guessing that the first three will go fast, if they are not already sold out. You can always count on PopSugar to surprise and delight!